Joseph Mallozzi's Weblog: December 2, 2010: February’s Book of the Month Club Pick! The Elite Eight Dishes Squaring Off in the “I Make The Best Whatever” Contest! A Marginally Better Day! December 2, 2010: February’s Book of the Month Club Pick! The Elite Eight Dishes Squaring Off in the “I Make The Best Whatever” Contest! A Marginally Better Day! 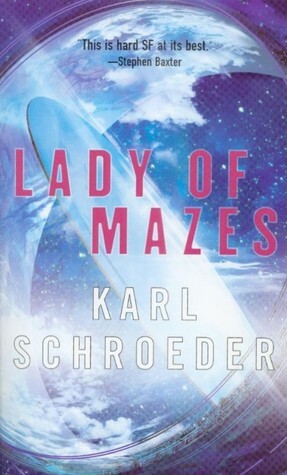 Says me: I’ve heard a lot of great things about Lady of Mazes from some very great people. Plus, Karl and his wife are Stargate fans! Discussion the week of February 14th, 2011 with author Karl Schroeder. You had me at “Puerco”. Yep, that’s right. 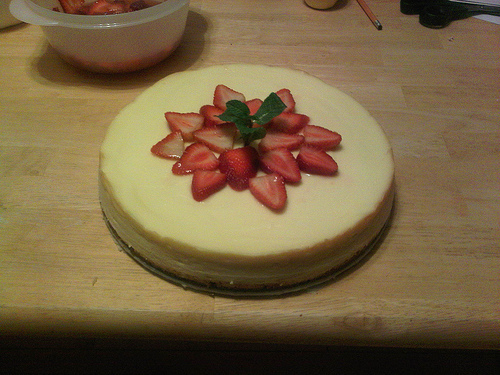 I went with the white chocolate over the milk chocolate cheesecake. I’m leaning toward the white’s more subtle flavors. Also, Akemi prefers white. It’s his Great Grandma’s recipe! That’s as home-cooking as you can get. I was promised a pic, but the combination of the words “chocolate”, “peanut butter”, and “pudding” alone were enough to secure a playoff spot. But I still want that picture! I’m usually not a fan of fruit-themed desserts, but I’m a sucker for cobbler with a nice dollop of vanilla ice cream. Of course, if the official entry doesn’t include a recipe for the accompanying vanilla ice cream, DP faces a darkhorse battle. From group underdog to field favorite. 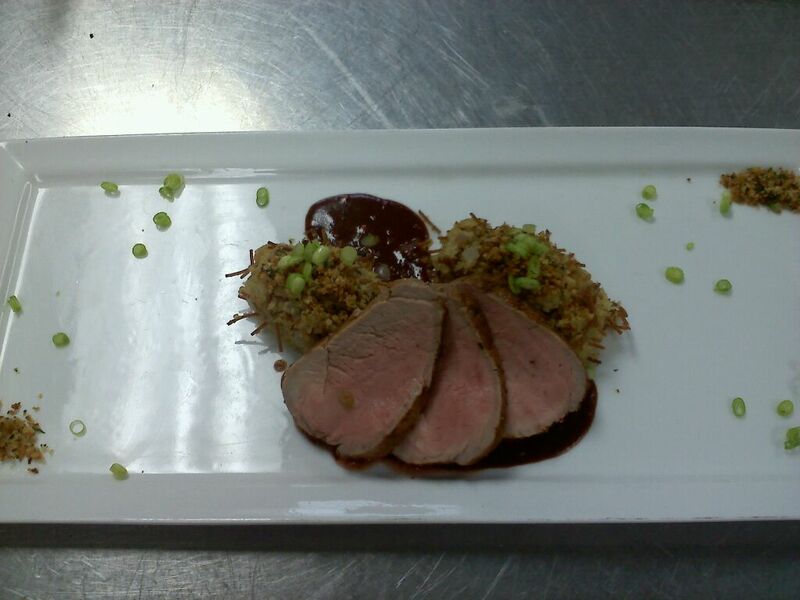 Alexander of Houston dishes a recipe worthy of culinary institute. But am I worthy of following his directions? No, it’s not a euphemism. It’s a hearty traditional soup/stew popular in Spain, the Canary Islands, and South and Central America. 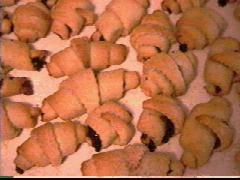 This looked and sounded so damn good, it edged out the Nutella Croissants! So there you are. Listen up, candidates – if you haven’t posted a recipe yet, please do so. The rest of you – let the betting begin! And thanks to everyone who entered. A marginally better day today. At least my dog didn’t pee on me. I woke up way too early because Jelly was crying. Was she in pain? Lonely? Did she have to go to the bathroom? Nope. She was just hungry. I fed her and the rest of the gang, then proceeded to clean the house (since I’ve realized I’ll have one whole half day to tidy up between my return from Tokyo and mom and sis’s arrival in Vancouver for Christmas). I worked out, had my protein shake, then showered up and headed out, Jelly in tow. In a desire to make as informed a decision as possible, I decided to look into alternative treatments and second opinions for Jelly. The first vet I visited checked her out and informed me that nothing short of surgery would cure her condition. Instead, he focused on pain management, suggesting I start her on Gabapentin and monitor her progress for a few weeks before trying acupuncture. The second vet I visited checked her out and came to the same bottom line conclusion: only the surgery would improve her condition. But unlike the first doctor’s wait and see attitude, he urged me to schedule the surgery as soon as possible lest she deteriorates completely. Suffice it to say that the second opinions only served to reinforce my confusion and general uncertainty. If I go ahead with the surgery and it leaves her paralyzed (or worse), I’ll feel terrible. If I don’t do the surgery and her condition deteriorates, leaving her paralyzed (or worse), I’ll feel terrible. If I wait too long to schedule the surgery and she takes a turn for the worse, I’ll feel terrible. If I rush her into surgery and something goes wrong, I’ll feel terrible. I cheered myself up by heading back to the dentist for the third time this week to (finally) get that crown finished. To the list of things I hate – popcorn, candied fruit, shepherd’s pie, kiwi’s – please add “needles”. I received another four this afternoon and, when they didn’t do the trick, another two for good measure. “Is it working?”asked my dentist hopefully as I massaged the right side of my face. All lopside grin and drooling aside, it was a much nicer visit than the last one. Tomorrow, Jelly has one more vet appointment and I have a bunch of things to get done (ie. buy chairs for the kitchen table because all the old ones have last their backs) before I’m Tokyo-bound on Monday. Also, there’s something wrong with my garage door. Previous Article December 1, 2010: If next Wednesday is going to be like this Wednesday, I’d rather just skip it. Joe, and not to make light of the situation, but you could always have Carl make the decision about Jelly’s treatment for you. Then, if anything goes wrong, you can blame Carl and HE’LL feel terrible. Ya know, just a thought. I’ll get my recipe to you tomorrow. Too tired tonight. @ Sparrowhawk – My favorite part with Corrie was when he went on about the piercings. Some good detective work there…finding out exactly where she was, and was not, pierced. I would do the surgery. If all vets indicate a very probable degradation without it, then the sooner is the best. Your dog will still be strong enough if you do it early. Lets face it, its not going to get better but only worse so get this out of the way ASAP. My best wishes of recovery to your pug. And also take care of yourself in Japan. Relax, enjoy the time off. Make sure you leave your dog with someone trustful. Leave instructions and go to Asia. Joe, I had a similar choice to make concerning TMJ treatment. Decided on pain management after reading reputable online sources (US National Institutes of Health, Mayo Clinic, TMJ Association). Found a pain-management dentist through the specialty’s professional society. Perhaps there are similar authorities for veterinary science? Is there a vet school in YVR area that would have both pain-management and orthopedic specialists? Please pet Jelly and the other pups on my behalf. First I noticed that destiny’s hull looks oxidized, even rusted, in the vacuum of space metal wouldn’t do that, would it? Is destiny capable of entering the atmosphere of life supporting planets and landing? Second I would just like to say that Resurgence was an amazing episode and I am looking forward to seeing the last half of season two, and third is there any chance that we might get to see any schematics or hull geometry for the seed ship… or destiny. Joey, dropped you an e-mail. And no worries, it has nothing to do with albinos, my opinion on how characters should be written, or my living room. PS. FYI… albinoesque characters should be written EXACTLY how Pendergast and Elric are written. They’re just so wonderful to curl up with on my living room couch after Mr. Das has crawled off to bed! Ya know…just for the record. Wow Joe, I am surprised this came about. 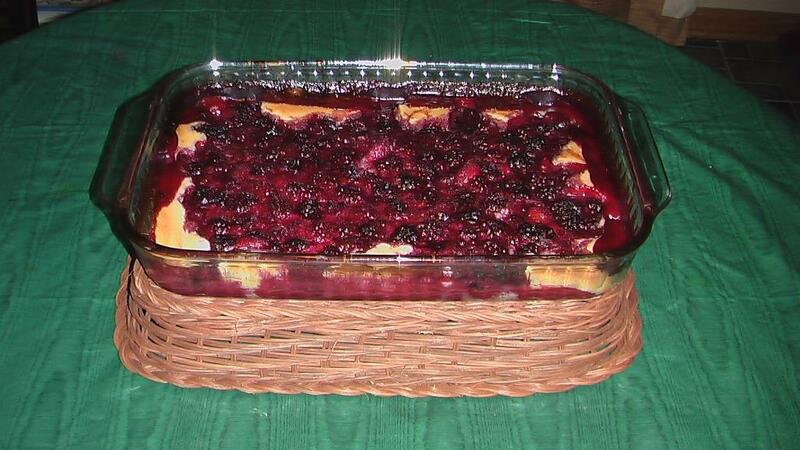 I will have to get back to you with the recipe in another day, I have to research some notes. Jelly don’t look so good and with her advanced age as well as her problems, I know this is a hard decision for you. The only empathy I have is when my parents adopted a pound puppy, it was part Great Dane, who had a severe hook worm infestation and would not make it b/c of blood loss. I wanted nothing more than to try and help him through it. In the end, we had to put him down. In the short time I knew him, I loved him. You’ll do what’s right by Jelly Joe, but since you are about to be out of country on a trip, it will be difficult even more so. What’s the most number of pages that you’ve ever written? One prof responded a week after I submitted the completed paper (all ~300 pages of it) and he already had gobs of comments for things he wants me to update in it. And he expected me to complete the revision in just a couple days. HAHA rrrrrriiiiiight. It was more like a one-week venture, currently working on finishing up the current revision. I’m betting one of the professors on my doctoral committee will make a comment during the final exam/oral defense, right after they (hopefully!) pass me and right as I’m about to walk out, they’ll say something along the lines of, “Oh, by the way, even though we’re passing you, we’d still like you to make another revision on your dissertation.” Then they’ll unload gobs and gobs of requests for adding stuff, removing stuff, changing stuff, fixing stuff, etc. Anyway, yeah, well… okay back to work. My thoughts are with you, Joe. So hard to make these calls. Best wishes to Jelly. Give her lots of fuss for all of us. Perfectly describes me right about now. I am on vacation visiting family for the holidays and I would say…doing pretty much “nothing”. So I am good for doing THAT…nothing. Of course lazy could have referred to me earlier this week when I choose to stay in my PJs all day and watch endless TNT & Syfy. Okay..I was sick..but still..it was quite the lazy day. I will attempt to obtain the book and have it read before the deadline. Vacations and books are so very yummy. I notice from your ‘currently reading’ list that you seem to read a lot of stand-alone novels. How much do you read books that are part of a series of some kind? Or rather, how frequently do you read all the books in a series? Moi oui super! Tiens il neige sur le blog,^^ à Paris aussi, avec des températures digne du pôle nord mais ça à l’air d’aller mieux..
Lol le dentiste, j’aime pas ça non plus, surtout les anésthésies…c’est vraiment étrange comme sensation. Oh, je suis triste pour Jelly =( j’espere que son état va s’amélioré. …bientôt les fêtes en famille!! Je suis tellement impatiente!!! Whatever you decide will be the right decision. Don’t look back and agonize over what path you took. Jelly knows you love her and will always do what is best for her. Narelle: what language was that yesterday . Hmmm…I think I’ll place my bet on Alexander of Houston’s Pork Tenderloin or dasNdanger’s Puerco Pibil. Now what are we betting again? 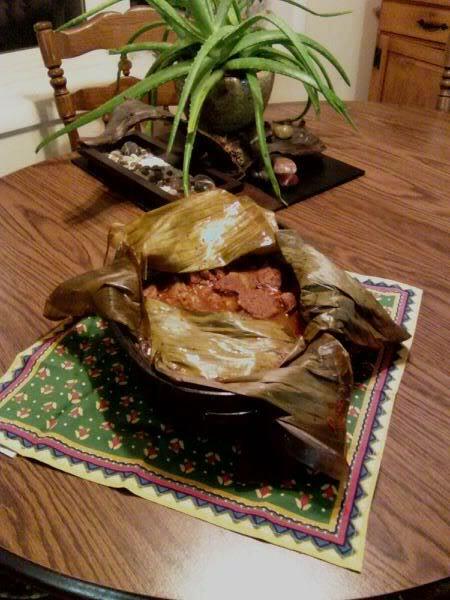 I really really want to try the Puerco Pibil! Will the recipes become public? On the white chocolate cheesecake recipe, I’m a little ambivalent about the strawberry syrup; meaning you could produce a light syrup with no cooking (great for a summer cheesecake) or a heavy syrup on the stove with reduction. For winter, you may want to do the reduction. In this case simply reduce the light syrup on a stove over low-heat. Good luck and email me if you have questions. Oh, and be careful of giving a slice to Ashleigh…every woman I have given a slice to has demanded I bake them their very own cake…multiple times! Oh and where are my manners…thanks for nominating me to one of the finalists spots! Thanks again, and I’m lifting up prayers for you and Jelly. Maybe a second opinion/consultation could help clarify the risks better? It’s a massive decision that only you can make. I remember when I had to make such a decision about our cat Maxine, only I was just a high school kid and Maxine had a stroke and was paralyzed and dragging her back legs. It was heart breaking. I did some research online and found a few sites that might provide more information to help you make your decision regarding surgery, rest, alternative therapies. Who is looking after the dogs while you’re away or are they going to a kennel? I decided to look into alternative treatments and second opinions for Jelly. Man I am slow on the uptake this morning! First the manners thing then skim-reading too fast. Gotta remember finish coffee then comment…finish coffee then comment. I’m praying the latest vet visit will give you some clarity and direction for Jelly’s treatment. Still bummed about the competition. Joe you really got my hopes up with the judging criteria and the fact you included dishes without pictures. Should have known I never had a hope. Awwww…poor Jelly. I so wanna give her a hug. I’m such a dog nut that I turn into a complete emotional mush. When you said you heard Jelly crying and you thought she was in pain, my heart sunk. Dogs are amazing creatures. Even though they are in pain, they try not to show it and will still do anything to please you. I’m sure you’ll do what’s best for the poor girl. She’ll be in my prayers. I was so excited to see your Book of the Month pick for Feb. It’s at my library so I’ll get to participate! All of those dishes look good. I know you will have fun trying them out. All the best as you make your decision about Jelly. How did your kitchen chairs lose their backs? You’re not a lean-backer are you? Mt gold crown arrived at the dentists yesterday. They aren’t open on Friday, so I will know Monday when they can install it. I can’t see my upper back molars, so I think this one is number eight. All gold, all hand made by my brother in law. As for needles and dentists, I have an extra “branch” in the nerve to my jaw, so extra numbing is required. Yuck-o. Hugs to Jelly, a throw in a few for yourself. I saw a t-shirt at thinkgeek, all in Kanji. Supposedly says “I am looking for a Japanese girlfriend”. I laughed and thought of you, immediately followed by an image of a scowling Akemi.